"Patriotic upbringing" lesson at Pucite kindergarten in Riga. Recently released video of two men in Waffen SS uniform conducting a lesson at a Latvian kindergarten has brought on a wave of anger and debate in Latvia and abroad. 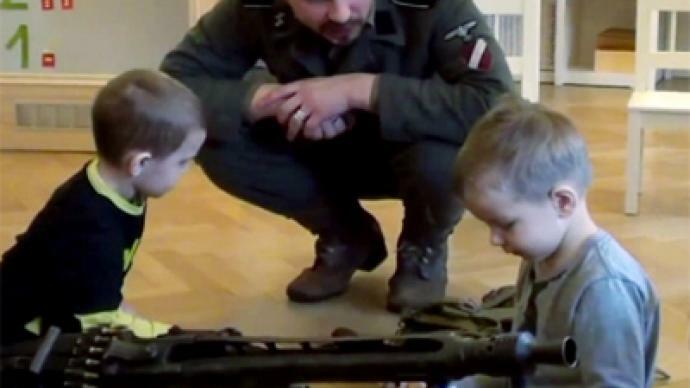 ­The two men from the Latvian Soldier group came to Riga’s Pucite [Owlet] kindergarten to give what they called a “patriotic upbringing” lesson. The footage shows the men telling children about the heroic role of Waffen SS soldiers in the Second World War. The two, however, did not limit themselves to stories only, but brought handouts for the little listeners. The video shows the three- and four-year-olds playing with pistols, machine-guns and grenades from the WWII era. Latvia`s Minister of Education Rober Kilis has condemned the incident, urging an investigation into the circumstances of the lesson, Latvian media report. “Weapons, people in military uniform and such activity in a kindergarten are absolutely unacceptable – this is my personal point of view,” he was quoted by Delfi.lv website. 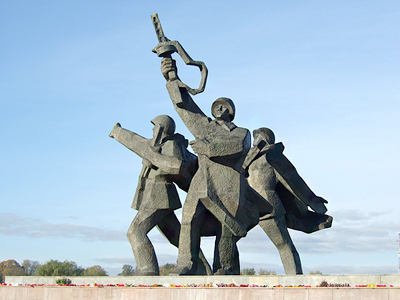 The lesson is believed to have happened on March 16 – a day of commemoration of Latvian troops that joined Waffen SS forces in the fight against the Soviet Union. 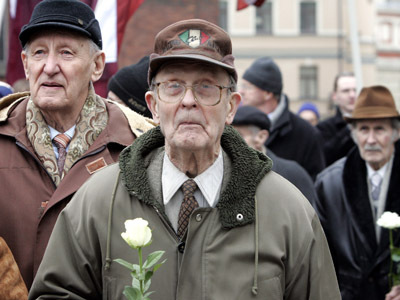 On that day, hundreds of Latvian Waffen SS veterans marched through the capital Riga. 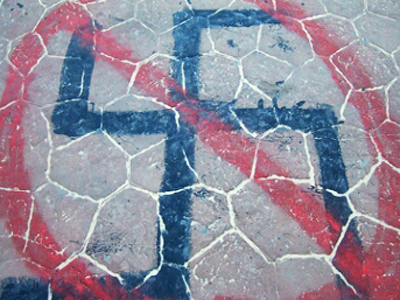 Moscow has repeatedly expressed outrage over such ceremonies celebrating the Nazi past. The EU has also expressed concern. The Waffen SS was a multi-ethnic and multinational military force of the Third Reich. 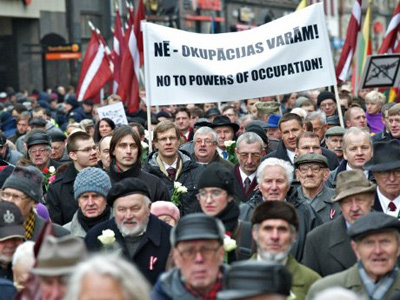 Around 150,000 Latvians served in the Waffen SS, the Nazis' non-German regiments, during World War II. Watch more in RT's Aleksey Yaroshevsky's report.